Vantage Club began life back when Monarch was still split between charter and scheduled services. Scheduled services were for many years known as ‘Monarch Crown Service’ and operated using a different flight number prefix to their charter work. Eventually renamed Monarch Scheduled, before Monarch exited the charter business making all flights scheduled and no need for distinctions. Redemption figures in the scheme varied by route, based upon flight distance. When Vantage Club began Monarch was still very much a traditional airline – with inclusive meals and checked baggage. The original earning rates in Vantage Club were similarly on ‘traditional basis’ – i.e. totally separate from any question of how much you paid for your fare. Using the original figures, each flight taken would earn about one ninth (1/9) of a redemption on the route. 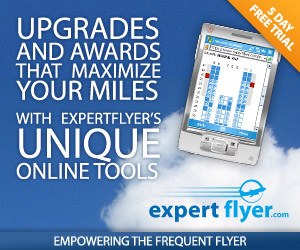 (Making every 10th flight effectively free – plus taxes and charges). When you consider that at this time British Airways was awarding zero tier points and only 25% miles for anything less than a premium Y,B,H fare in economy class, it is easy to understand why Monarch’s Vantage Club scheme became very popular as a loyalty for people who were regulars on routes they served – even without considering status benefits. 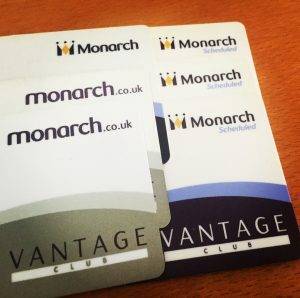 These ‘route regulars’ were very much the majority client base of Vantage Club – and it did give Monarch an advantage in this market. 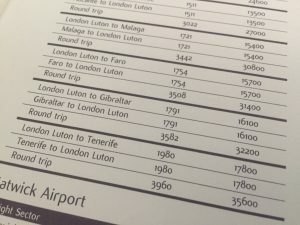 This earnings change transformed a situation of every 10th being a redemption to one where (on the Luton-Gibraltar route as an example) you would now need to pay over £800 on airfare to get enough points for a flight. Additionally as Monarch began to unbundle meals, bags and seats from fares sold the percentage of your overall payment to them that you were earning on sadly reduced. The introduction by British Airways of Reward Flight Savers and an increase in the Avios they awarded on cheaper fares was the death knell of Vantage Club (as points programme) – certainly for anyone flying to / from London. Reward Flight Saver tax capping resulted in Monarch redemptions always costing more than BA redemptions in cash. Additionally, you could not book Monarch redemptions online, nor even see their seat availability. – Yes, Monarch were still running separate seat buckets for redemptions. Sadly they never squared the circle by making redemptions based upon prevailing fare, which would have helped keep the scheme making sense. While the points offering was now distinctly inferior to BA, Vantage Club status benefits still had some attraction for regular flyers, even though BA had also opened up their TP earning to lower buckets. Yes – Vantage Club had status levels. Firstly to remain a member of the scheme you need 4 flight sectors on Monarch per year (e.g. 2 return flights). 10 sectors per year (5 returns) would unlock Silver status. The main benefits of Silver were access to their dedicated (and very quick) checkin counters at UK base airports – avoiding all queues when bag dropping, and priority boarding at the gate. 16 flights per year (8 returns) unlocked Gold status. At one time Gold included lounge access at many Monarch airports and outstations, however that was soon enhanced away – presumably for being far too costly. Other perks included access to fast track lanes. The biggest Gold benefit in my opinion though was the ability to make two free date changes to ANY booking, without paying change or other fees, just fare differences. The most tactical way to use this I found was (if I discovered I didn’t need to fly, or wanted to switch airline) to use move 1 to change to a flight well into the future at the same price. Then to use change 2 to move it to a flight I actually wanted to take – once I knew what travel I needed. You could also make free name changes. Again, for route regulars, you can appreciate why Monarch status still held appeal. I hope nobody was ‘invested’ too much in Vantage Club. Personally I’d stopped considering it as a points (for redemption) programme long ago – I assume most regulars would have come to the same conclusion. However I did maintain my Silver status to avoid queues at checkin and when boarding. If they had made some simple changes to complete their journey to an 100% revenue based model it would probably have actually benefitted both the airline and the customers. Other Monarch strangeness including mobile boarding passes never making it as a feature to the Apple iOS app, although they had been in the Android app for a while now. I will miss Monarch, a very friendly airline. After writing this article yesterday a couple of other loyalty points aspects regarding Monarch occurred to me. Firstly they were a Tesco Clubcard redemption partner. However rather than Clubcard points converting into Vantage Club miles (which would have helped Vantage Club – and been similar to British Airways and Virgin Tesco CC conversions) they instead converted directly into money off coupons. Secondly, Tesco were strangely an Avios.com redemption partner until 4th January this year. The rates were not as good as redemptions on other core Avios using airlines, so redemptions were probably not that extensive. Given when Monarch would have released winter seats, I’d expect very few if any people have Avios.com redemptions booked they are yet to fly. After writing this yesterday I did think of another couple of loyalty aspects to the Monarch demise – they were both a Tesco Clubcard (until collapse) and Avios.com (until January) redemption partner. However rather than Tesco clubcard poitns going into Vantage Club (which would have helped Vantage Club) they converted directly into money off coupons. Haven’t seen any commend from Avios.com about people who may have forward bookings.